I am an American artist so naturally my products are made in America, correct? True. But, since I make the original designs, that doesn’t necessarily mean the products I sell are made in America (but they are!). When I created my Zooettes, I started to print my designs using a very small professional printing company. I looked for the best quality paper and long lasting inks. I decided that if I was happy with the product, then my customers would be too. While branching out into other types of products and vendors, I made the decision to pick quality over price. My goal was to keep my products locally made and to use companies that I knew were doing their best to hand make and print their items. 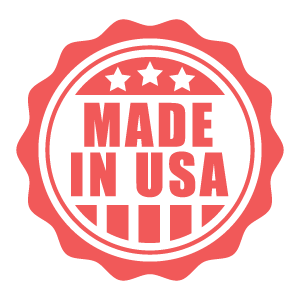 Throughout the site, you will see Made in America under most of the product descriptions.